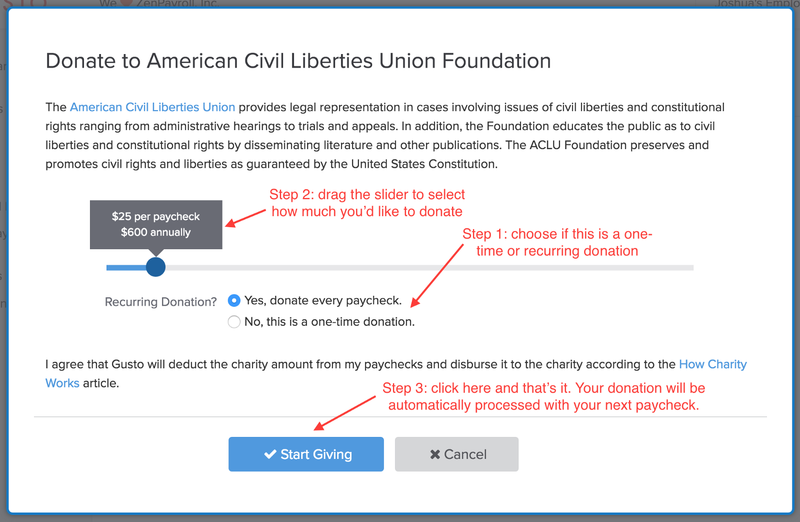 4/ Here’s how easy it is to donate from your paycheck. Log in to Gusto and select a charity from the Giving page. 5/ Then choose one-time or recurring, and how much you want to donate. That’s it. 6/ The donation is automatically processed with each paycheck, your annual donation will be added to your W-2, and your employer can match. 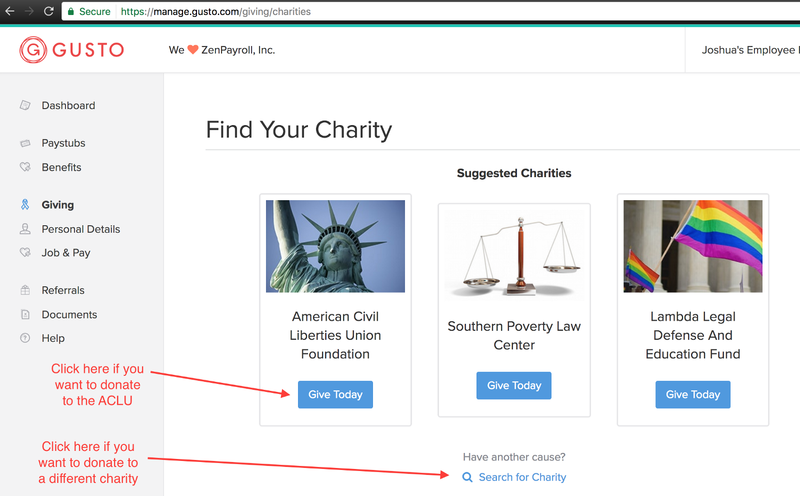 7/ You can donate to thousands of charities using Gusto Giving, including the ACLU, Red Cross, and many more.